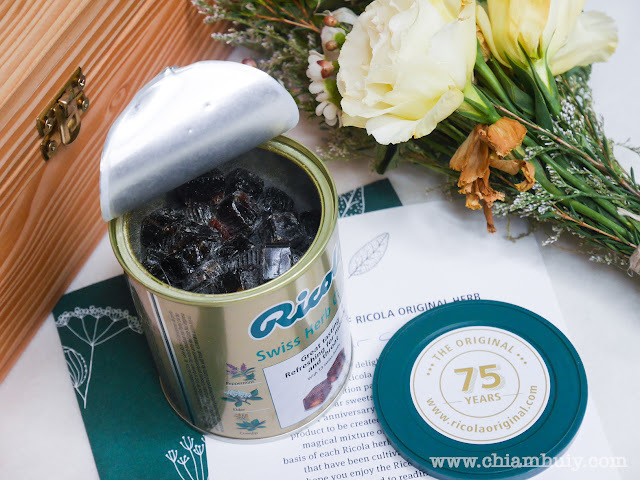 Happy 75th Anniversary Ricola Original! During those days where you experience throat discomfort and perhaps a little bit of a cough, what would you look for? You might not have noticed but lozenges have been a great part in our lives, and the brand Ricola is definitely the brand leader of lozenges. Over the years, we consumers have seen an increase in the number of flavours to suit our individual palates. I can’t believe how time flies and Ricola Original is now celebrating its 75th anniversary! To celebrate, Ricola has created an Original Herb made of real gold! And you have the chance to win this prize piece! More info here. I recall those days when I would chuck a pack of Ricola lozenges into my dad’s car to keep him awake. Drivers can be really tired at times having to drive for miles and hours! Sometimes he still has a little cough and these lozenges come in very handy. 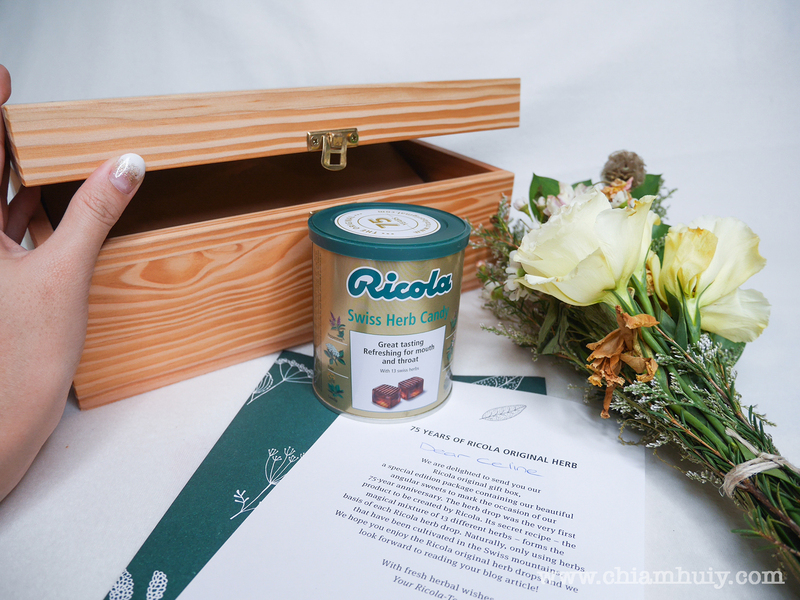 Founded in 1930, Ricola, the Swiss manufacturer of herb drops is well loved around the world. Ricola`s entire production process still takes place at the original location in Laufen, Switzerland. 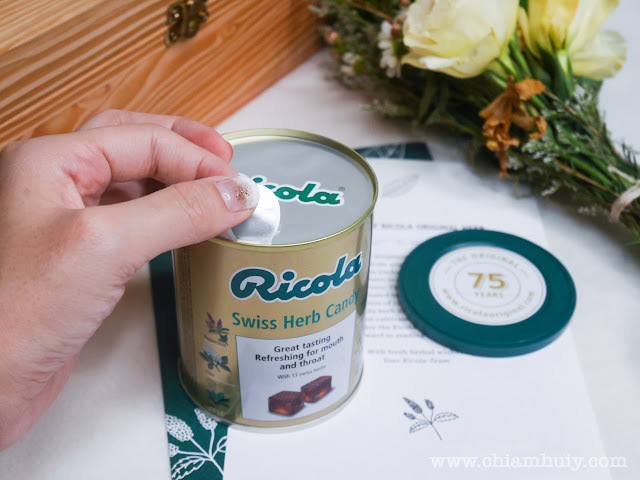 All Ricola products are based on the original and legendary 13 ­herb mixture, which are naturally grown in the Swiss mountains. 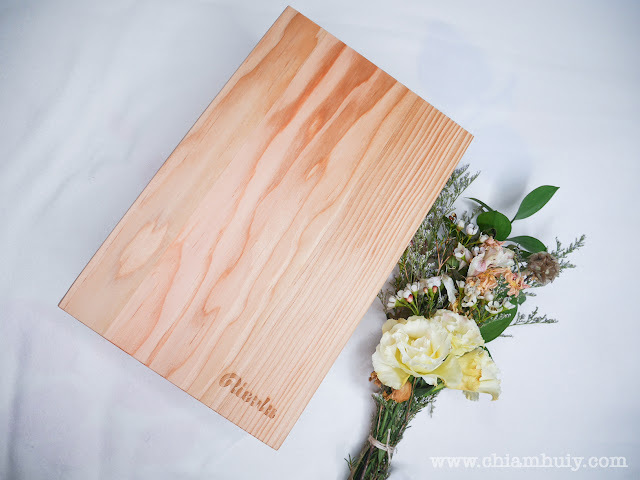 The herb specialties are also known for their unique taste as well as their soothing effect. I think I would! 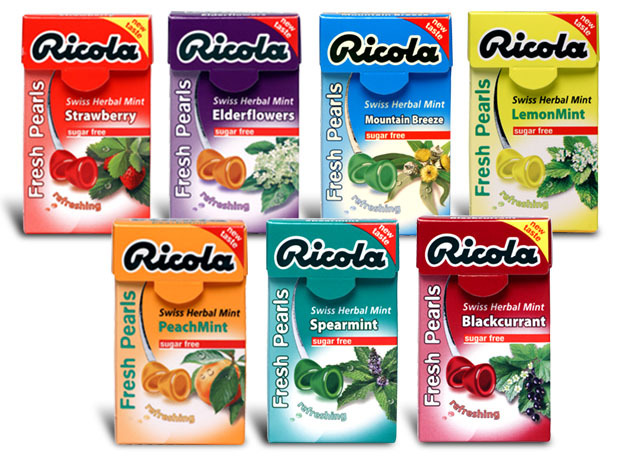 Ricola now has so many more flavours such as Elderflower, LemonMint and Cranberry, aside from their signature Ricola Original flavour. In fact, not just that! I love keeping a few sweets in my bag to constantly keep my mouth refreshed and clean. Good that Ricola has came up with more packaging and even individually packed lozenges. Ricola has developed not just through introducing more flavours, they’ve also introduced more varieties to your good old-fashioned lozenges! My favourite is their “Fresh Pearls” range which is a softer jelly-like lozenge. 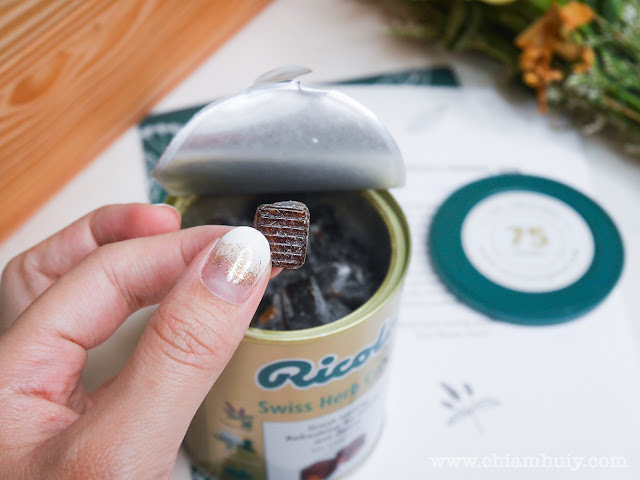 From a small bakery that produced sweets to a medium-size producer of herbal specialties with an international reputation, Ricola has definitely left a deep impression on many of us. 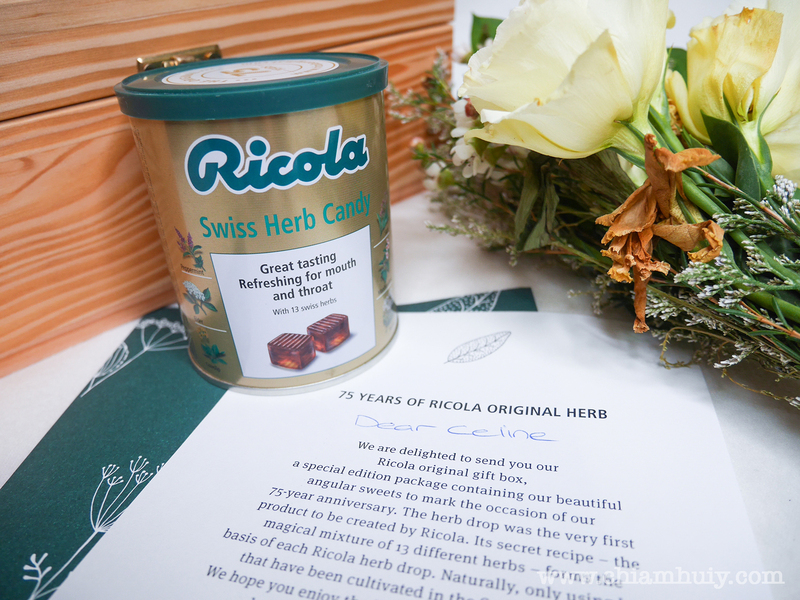 To rejoice over this special anniversary, Ricola has also produced an Original Herb made of real gold, which you can win in a sweepstake! We definitely want the cream of the crop at all times. 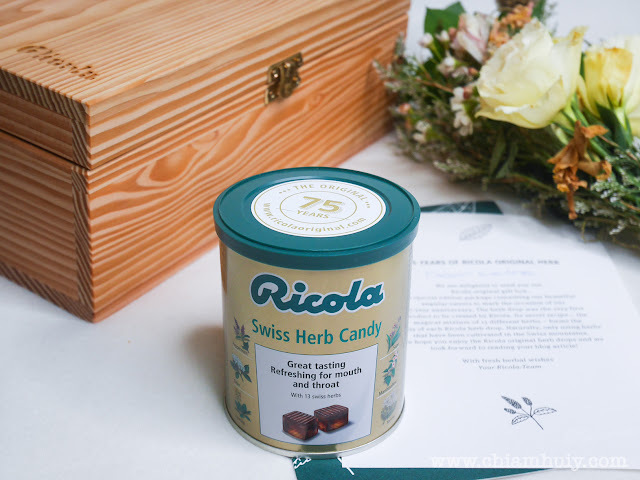 Rest assured that the quality of Ricola sweets are always of top-notch quality, as they pride themselves on always sourcing the best herbs, to the extent that Ricola made the strategic decision to specialize in its core business of producing bonbons (one of their core ingredients) and not to diversify into the area of herb horticulture. Does this post makes you wanna grab a pack of Ricola Original now? 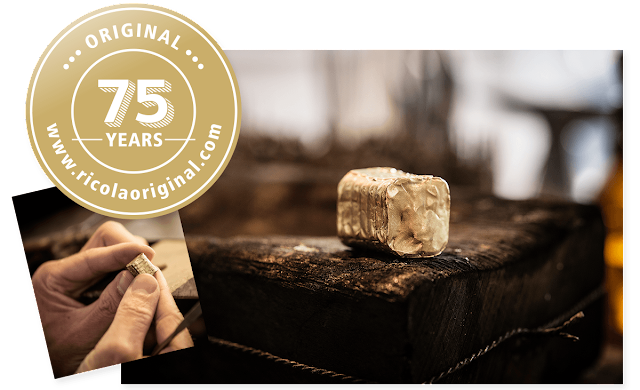 :) 75 years of history, your lifetime trusted brand.